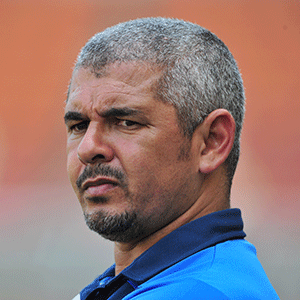 Cape Town - Chippa United coach Clinton Larsen remains optimistic his side can avoid relegation in 2018/19 by picking up four more points. Chippa suffered a blow to their survival hopes on Friday night as they lost 1-0 to title-chasing Bidvest Wits. The Chilli Boys are in 13th position on 24 points though Baroka and Free State Stars have the same total in 14th and 15th respectively. With that said, Ea Lla Koto and Bakgaga have one game in hand. Meanwhile, Maritzburg United prop up the standings on 20 points. United are next in action in the Premiership when they take on Mamelodi Sundowns on 23 April. This weekend the outfit from Port Elizabeth take on Kaizer Chiefs in a Nedbank Cup semi-final. Larsen told reporters: "We've got 12 points to play for and I've said it before that if my team fights like this every week we'll get out of the situation that we are in. "There are a lot of other teams in the same precarious position as the rest of us. "There are four, five, six teams in the same position, so for us, it is about bouncing back from this. "We've played a very good Wits team and we have to make sure after the weekend's cup game against Chiefs that we focus on our last four league games. "For me, I think one more win and a draw does the trick. But we've got to get it. "It's easy saying it but I believe the fighting spirit here will allow us to do so."